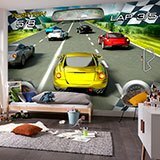 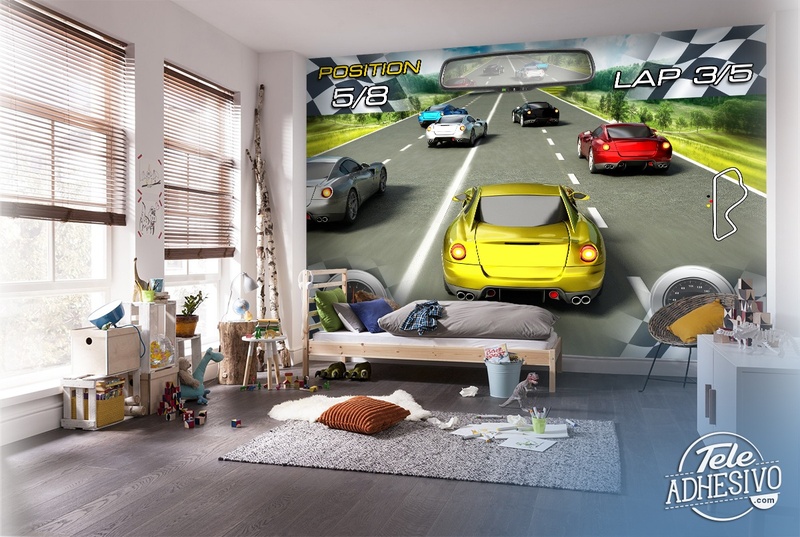 Wall mural Car Racing Video Game. 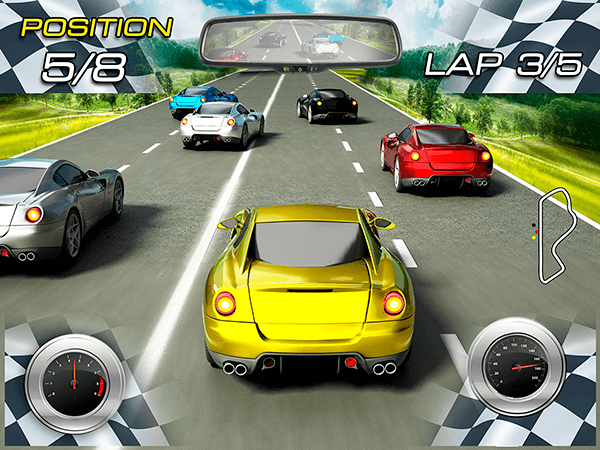 Funny image of a sports car race from a video game. 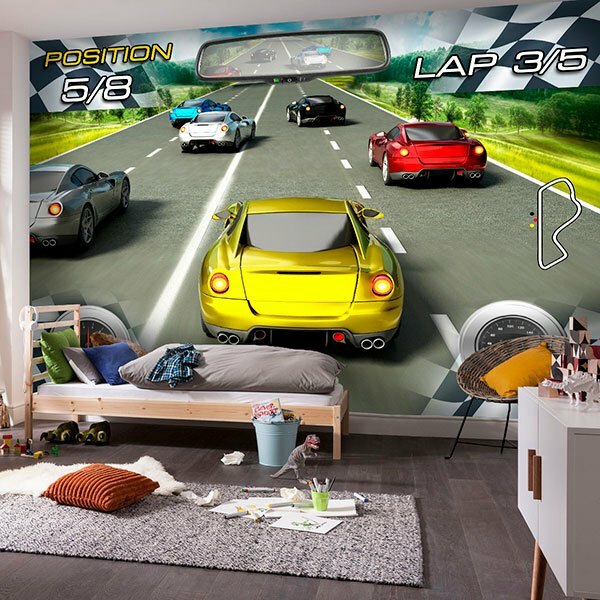 Original proposal to decorate the room of children who love cars or video games where there are several cars and elements such as position, speedometer or turns.